Maria's Jersey Giants - THIS PAGE IS UNDER CONSTRUCTION: MORE PHOTOS TO COMEVISIT OUR BUY NOW PAGE TO PURCHASE BLACK, SPLASH, BLUE, AND WHITE DAY OLD CHICKS. Maria's Jersey Giants have added WHITE JERSEY GIANTS to our farm as of March 12, 2018. This is the first time in the history of our poultry business to raise White Jersey Giants. We are pretty excited about the opportunity to now have four varieties of Jersey Giants to include the following: Blue, Black, Splash, and Whites. Hatcheries typically only have blacks and whites. Our hope is that these Whites will turn out just as nice as our other color varieties. A young White Jersey Giant cockerel This big boy is only 11 months old and has a deep wide chest. Photo taken 2/20/19 . We have had our share of rain and mud here in Indiana. Looking forward to the spring! 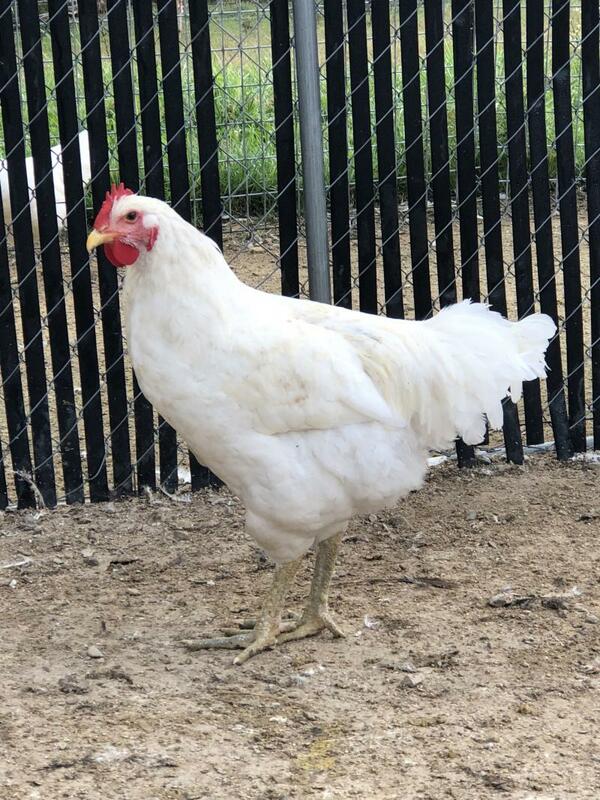 A 11 month old beautiful White Jersey Giant pullet- 2/20/192/20/19 White Jersey Giant pullets- 11 months old MY FIRST WHITE JERSEY GIANT PURCHASE 3/12/18. So cute these White Giant babies look like they have black ball caps on! 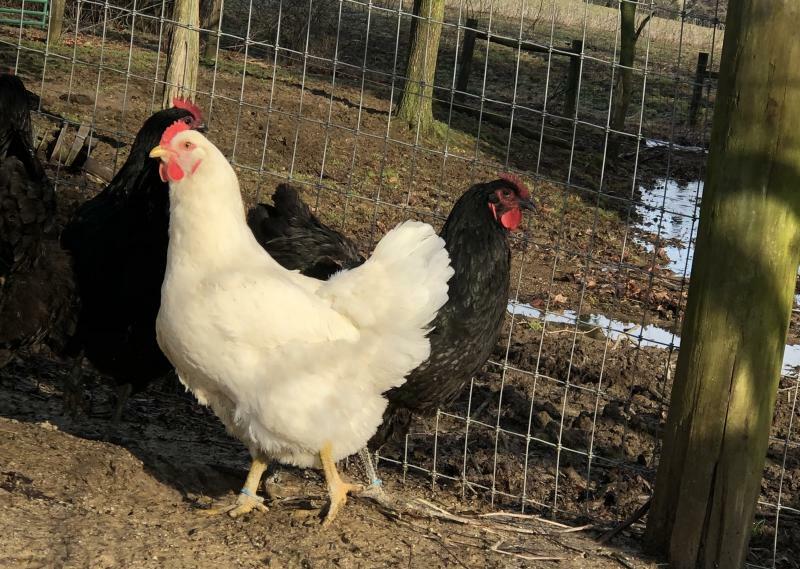 :) It is exciting to be be hatching our first batch of White Jersey Giant chicks on 2/25/19. I would like to keep some of the whites from this hatch, however some might be available. Please send us a text message at 502-548-1075 if you are interested in any. In the 2/25/19 hatch there will be all four colors: black, blue, splash, and white colors. The black in this hatch will carry the White Gene. White Giant hatches should be available throughout the year. 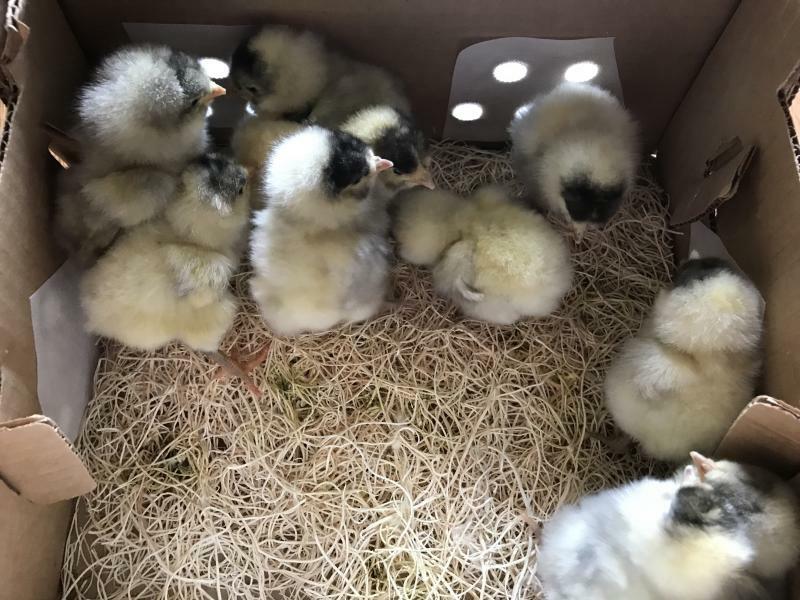 STARTED CHICKS AVAILABLE FROM 2/25/19 HATCH. DAY OLDS AVAILABLE FROM 4/7/19 HATCH. VISIT OUR BUY NOW PAGE TO PURCHASE BLACK, SPLASH, BLUE, AND WHITE DAY OLD CHICKS. to our farm as of March 12, 2018. This is the first time in the history of our poultry business to raise White Jersey Giants. We are pretty excited about the opportunity to now have four varieties of Jersey Giants to include the following: Blue, Black, Splash, and Whites. Hatcheries typically only have blacks and whites. Our hope is that these Whites will turn out just as nice as our other color varieties. This big boy is only 11 months old and has a deep wide chest. Photo taken 2/20/19 . We have had our share of rain and mud here in Indiana. Looking forward to the spring! MY FIRST WHITE JERSEY GIANT PURCHASE 3/12/18. So cute these White Giant babies look like they have black ball caps on! 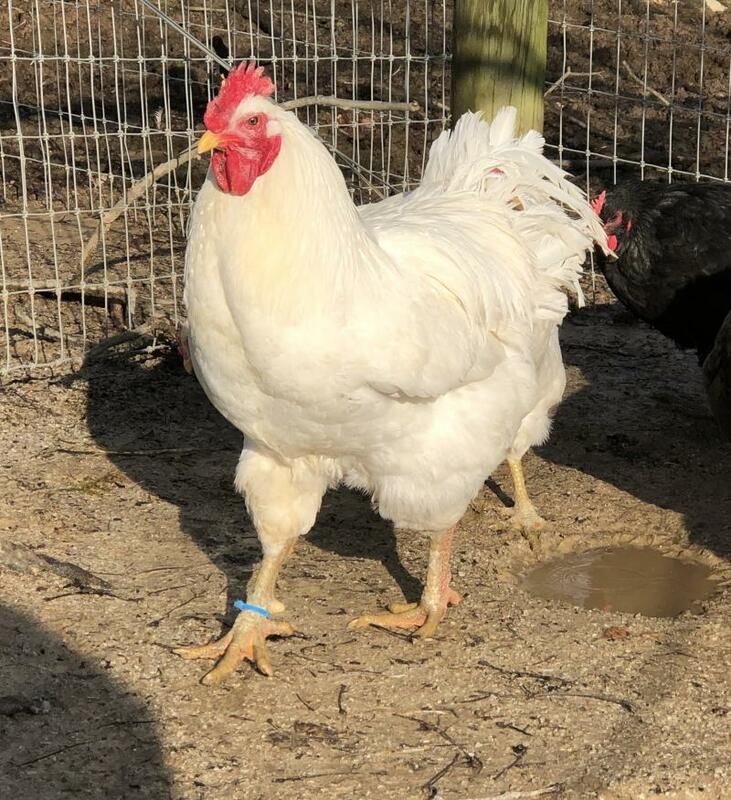 :) It is exciting to be be hatching our first batch of White Jersey Giant chicks on 2/25/19. I would like to keep some of the whites from this hatch, however some might be available. Please send us a text message at 502-548-1075 if you are interested in any. In the 2/25/19 hatch there will be all four colors: black, blue, splash, and white colors. The black in this hatch will carry the White Gene. White Giant hatches should be available throughout the year. 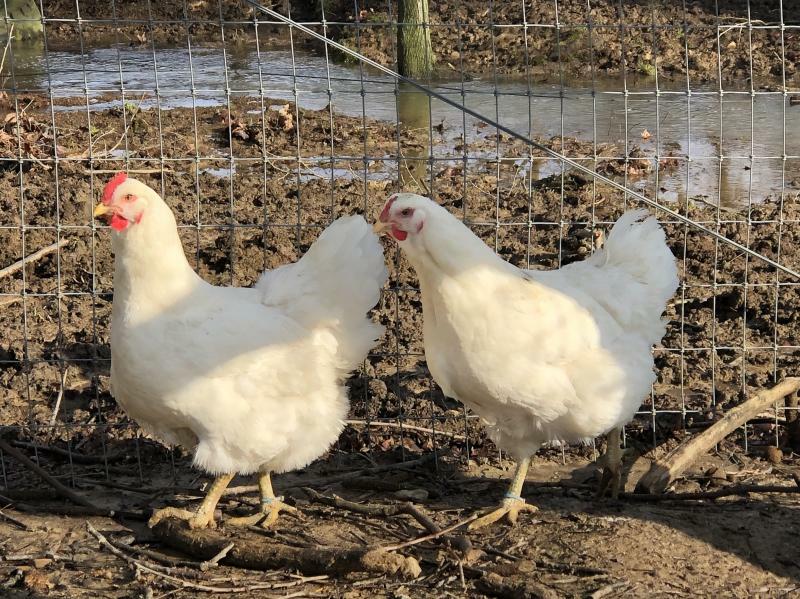 STARTED CHICKS AVAILABLE FROM 2/25/19 HATCH. DAY OLDS AVAILABLE FROM 4/7/19 HATCH.